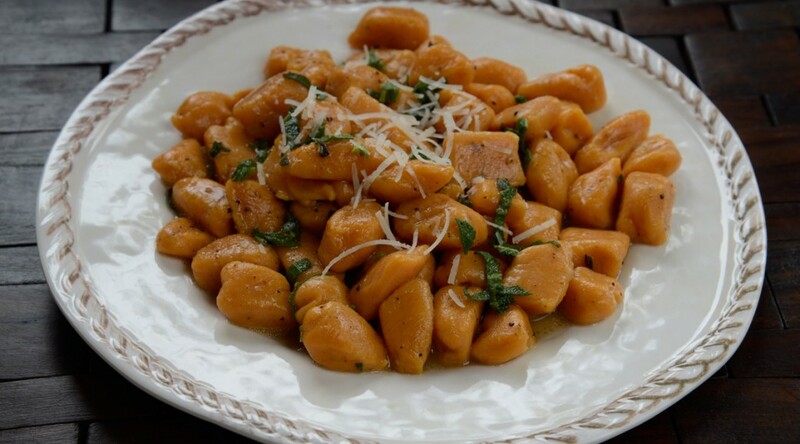 Gnocchi were my favorite pasta when I was little. I was especially fond of potato gnocchi in Gorgonzola sauce, which my mom made to perfection. 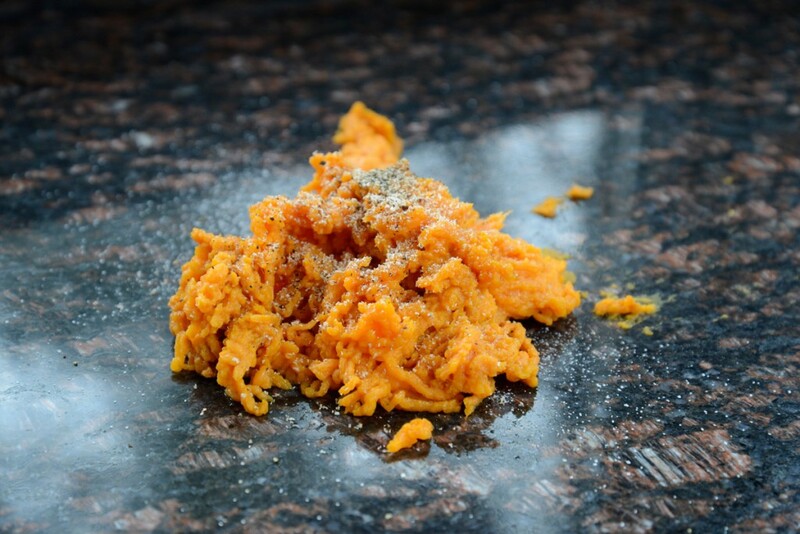 Lately I’ve been making a lot of sweet potato and garnet yam gnocchi; maybe because in winter, I crave something a bit sweet, and using yams or sweet potatoes gives me an excuse to add a touch of freshly grated nutmeg to the dough. 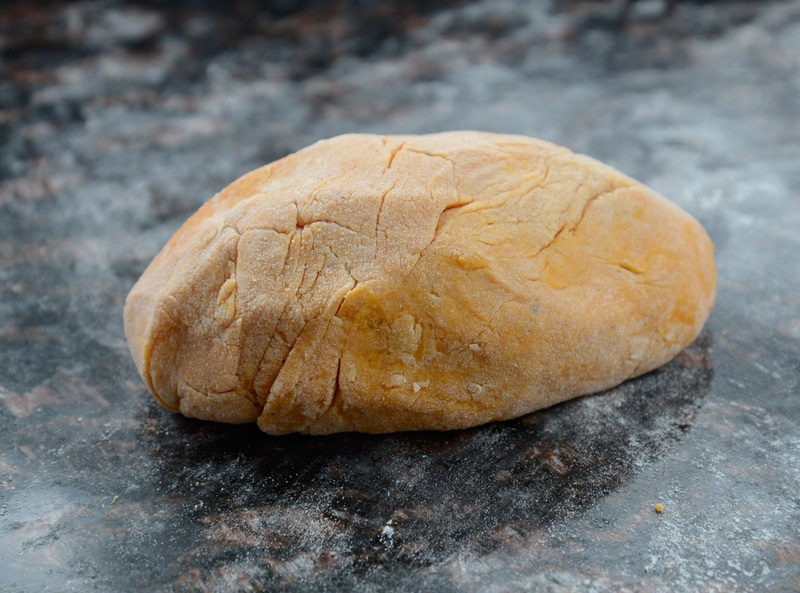 Whatever type of tuber you use (Yukon Gold or russet potatoes, garnet yams, regular yams, sweet potatoes), be sure to weigh the flesh after baking, before adding the specified amount of flour; that way, your gnocchi will emerge light and delicate, never heavy. And remember: gnocchi dough should never be kneaded, just mixed and gathered gently with your hands, or else you’ll end up adding more flour than necessary and your gnocchi will be heavy. 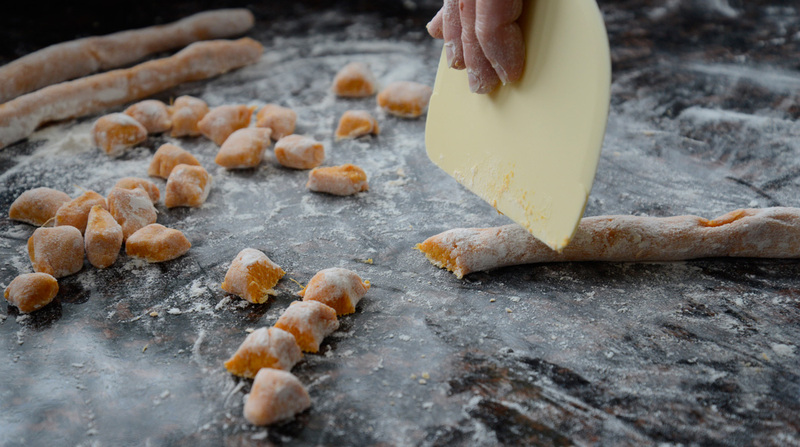 To learn how to make gnocchi in a hands-on cooking class with me, and to really understand what the correct texture is for handmade gnocchi, check out our cooking class calendar: we feature handmade gnocchi of every variety (even Ricotta) about once a week or so! 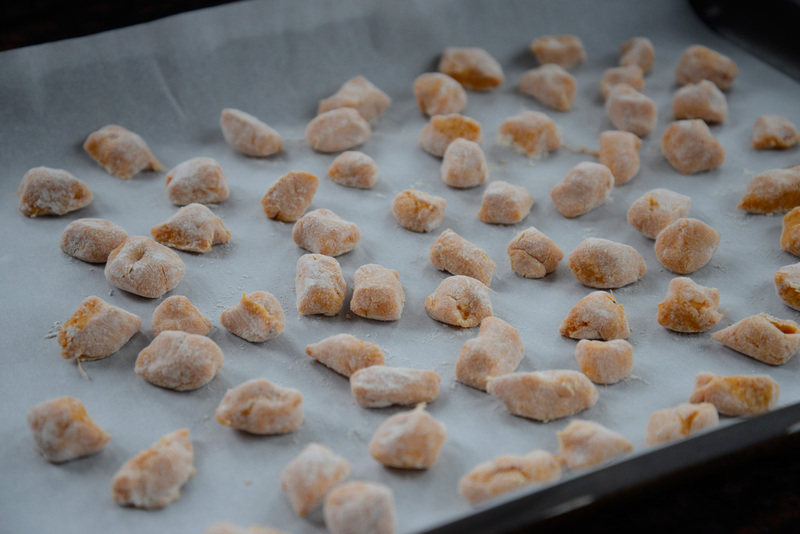 Make the gnocchi: Preheat the oven to 350°F (preferably set on convection). Place the yams on an aluminum foil-lined baking sheet, poke each with a fork once or twice to prevent bursting, and roast until tender when pierced with a knife, about 1 hour and 15 minutes. Cool to room temperature. Cut in half and scoop out the flesh. Place the flesh in a bowl. Weigh out exactly 1 pound and reserve the rest for another use. 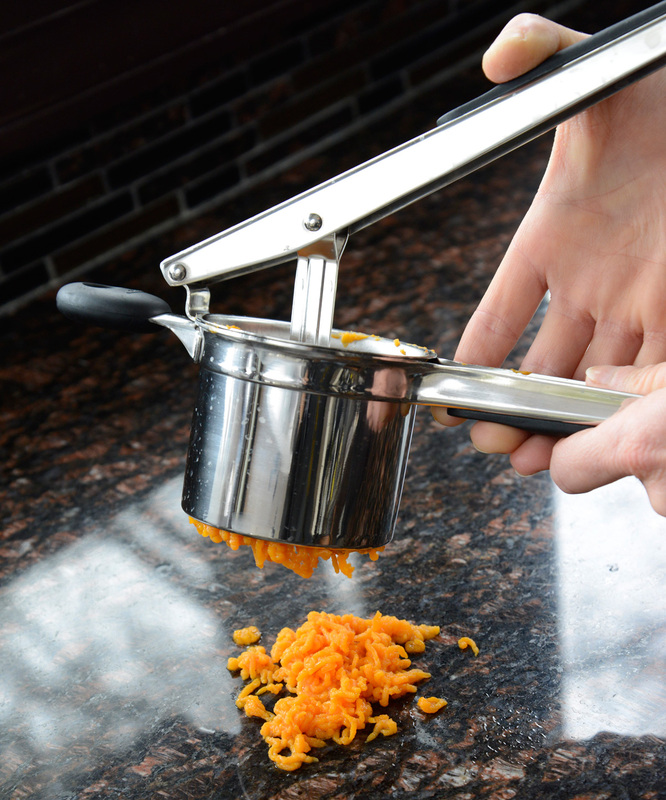 Using a ricer, puree the yam flesh directly onto the counter. Stir in the nutmeg, salt, and pepper. Add the flour and mix with your hands until a dough forms. The mixture should form a soft, cohesive mass; add a little more flour if the dough is very sticky. Stop mixing once you see no more white streaks in the dough. Cut into 8 pieces. 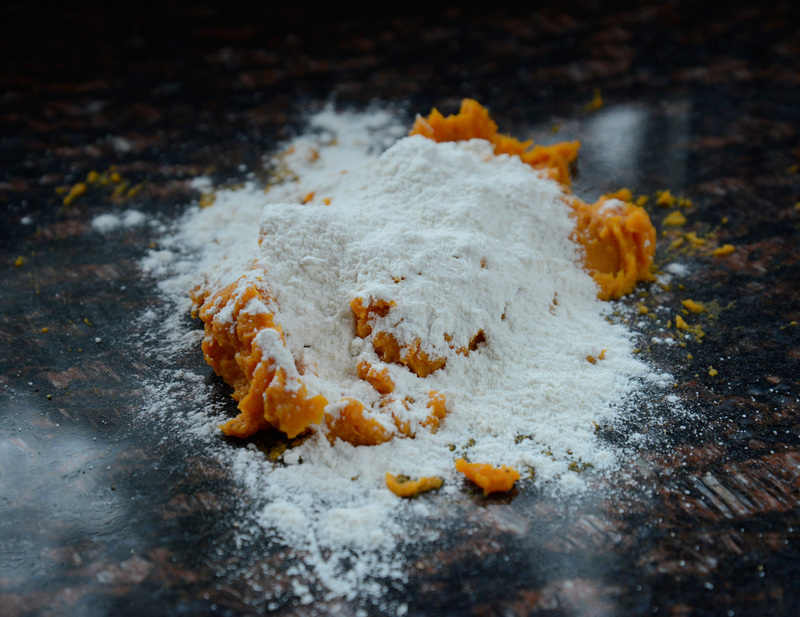 Dust each piece with flour. 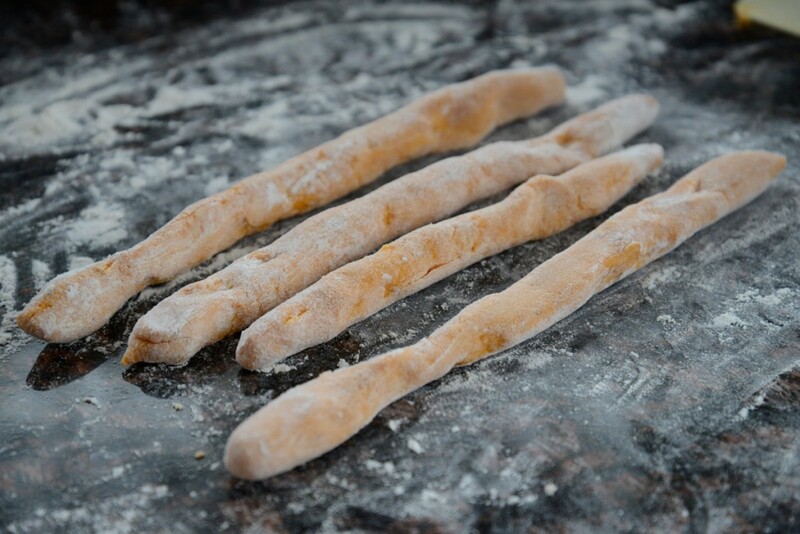 With lightly floured hands, gently roll each piece into a 1-inch-thick log. The dough will be soft, but resist the temptation to add more flour unless the dough is really sticky; also be sure not to knead the dough, or else it will require additional flour. Cut into 1-inch pieces, toss gently with flour, and spread out in a single layer on a floured tray. (The gnocchi can be made up to this point 12 hours ahead, spread out in a single layer on a floured tray, and refrigerated, uncovered, until ready to cook.) Be sure the gnocchi are not touching each other because the dough is soft and rather sticky. If you’re nervous that the gnocchi are too soft, try boiling just one or two at this point; that way, if they seem too soft once cooked, or fall apart in the water, you can adjust by adding a touch of flour to firm them up. Make the sauce: Melt the butter with the sage, salt, and pepper in an 8-inch skillet over medium-low heat until aromatic. Keep warm. To cook: Bring 6 quarts of water to a very gentle boil. Add the gnocchi and the salt, and cook until the gnocchi float to the surface,a bout 1 minute. 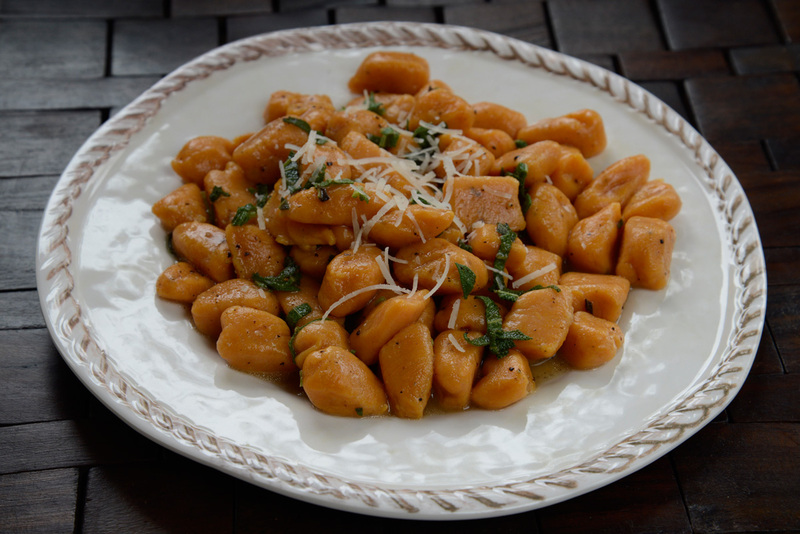 Remove with a slotted spoon to a wide, shallow platter, reserving 1 cup of the gnocchi cooking water. Add 1/2 cup of the gnocchi cooking water to the sauce in the skillet and swirl once or twice to combine. Pour over the gnocchi in the platter and mix gently with a rubber spatula. Sprinkle with the Parmigiano, and stir gently to incorporate. Taste for seasoning and adjust if necessary. If needed, thin the sauce out with a bit of the gnocchi cooking water. Serve hot.